WISCONSIN, USA, Mar 18 2019 (IPS) - The U.N.’s World Water day is fast approaching as the state of the world’s consumable water supply remains dismal. Billions of people face at least the very real risk of scarcity, if they’re not facing scarcity already; and about a third of the world’s groundwater systems are in danger of becoming depleted. With the Trump Administration’s withdrawal from the Paris Agreement in 2017, things are looking grimmer still. Several state governors, Republicans and Democrats both, and Puerto Rico have even ignored the federal withdrawal and pledged to uphold the agreement on a state level. So far, seventeen U.S. states have committed to upholding it. You can learn more about the U.S. Climate Alliance here. Furthermore, in October of 2018, the U.N. Intergovernmental Panel on Climate Change released a report claiming that we have only 12 years to keep global temperatures to about 1.5C—if there is even a half a degree increase, it would likely exacerbate floods, droughts, extreme heat, and poverty, all of which will affect millions of people all around the world. The Paris Agreement, in theory, would prevent this from happening. But Dr. Isaac Hankes—a meteorologist and a Weather Research Analyst at Refinitiv—has a different view. He claims that “the Paris climate agreement is as political as it is scientific, and even if fully embraced will not offset much more than about 0.1°C of warming. This points to the necessity for individual action in the face of institutional opposition as well as institutional inefficacy. The problem is that in order for there to be individual action, there must be an impetus; in order for there to be an impetus, there must be, at base, awareness. A recent survey conducted by Rockay—an eco-conscious manufacturer of running apparel—reveals that awareness is exactly what more than half of Americans lack on the issue of climate change. Conducted online via 3GEM RESEARCH & INSIGHTS, the survey polled 1500 American adults, ranging from ages 18 to 55+. The findings were surprising. For example, when the responders were asked if global warming will have deleterious effects in their own lifetime, the results were split. 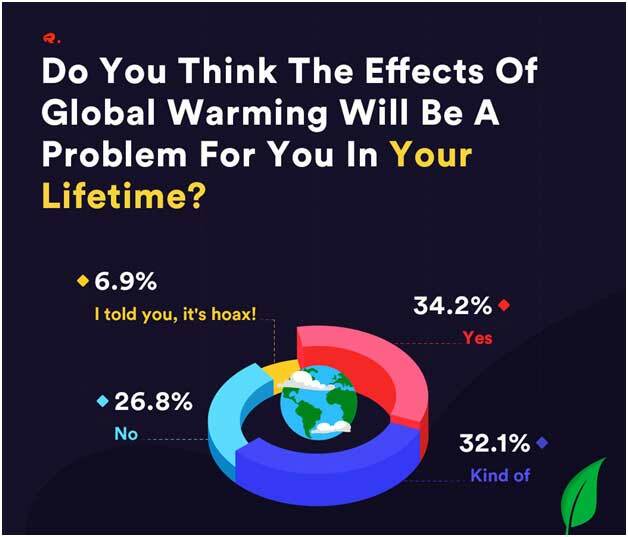 34% answered they did indeed believe that there will be a global-warming-induced impact in their own lifetime; about the same percentage answered the opposite, with 7% claiming that global warming was a “hoax” outright. Additionally, 32% seemed to be more ambivalent about the issue, answering “kind of,” pointing to an acknowledgment of a fundamental lack of awareness. This same lack of awareness manifests itself in what is perhaps a more pernicious way. 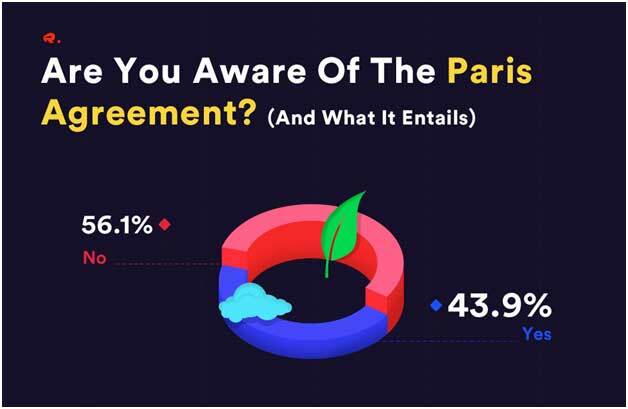 When asked the question, “Are you aware of the Paris Agreement and what it entails?” a whopping 56% of respondents answered “no.” Remember, the Paris Agreement is designed to, in theory, mitigate or even prevent entirely floods and droughts and extreme heat that are set to upend the lives of millions of people worldwide. Remember too, that politically, the Agreement is a hot topic, creating rifts between politicians, government agencies, and even among nations on how to proceed. Given this, it’s probably fair to say that climate change, and perhaps even foreign affairs, just isn’t on the mind of most Americans. At least not in any potent sort of way. 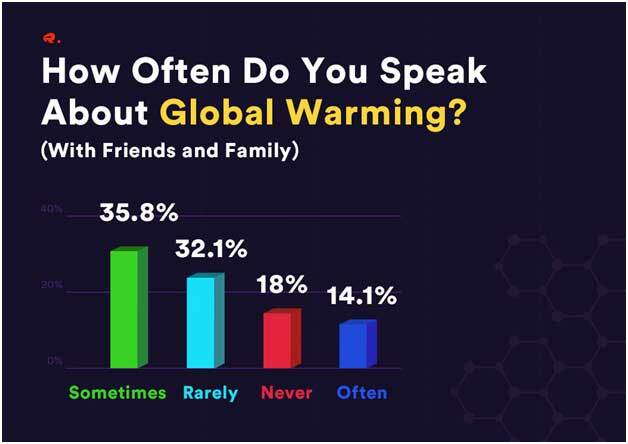 In fact, when the respondents were asked about how often they actually spoke about global warming with their friends and family—effectively gauging their level of concern—a tepid 14% said they “often” do. By contrast, 50% responded that they “rarely” or “never” do. The significance of these findings is potentiated by two assumptions. The first is that the Paris Agreement alone may not be as effective as would be ideal. The second is that the true solution lies in effectuating a change in the habits of individuals, rather than of entities. Rockay’s survey indicates that actually succeeding in effectuating this habitual change in individuals is difficult due in part to the fact that these individuals generally have no awareness that there is actually a problem to solve, and thus they have no impetus to change. To combat this, Rockay urges people to start small, with something easy that has potential to not just combat climate change, but water wastage as well: laundry. You can read more about the why and how here. 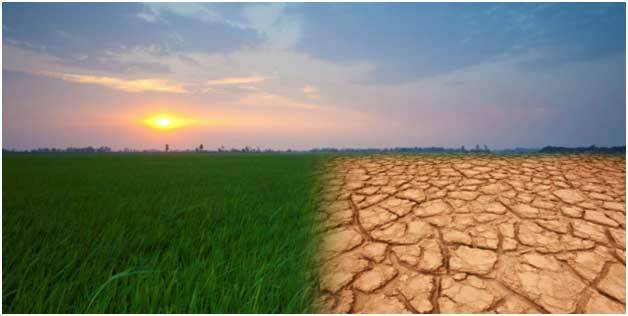 The hope is to raise awareness of the facts and trust that the collective consciousness will evolve to reflect them. 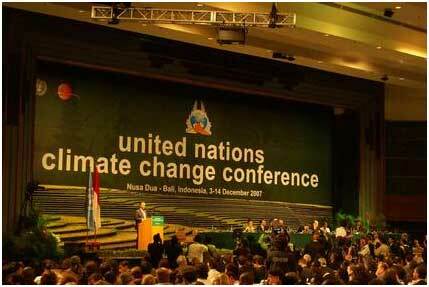 Because only then would the earth and its inhabitants stand a chance.